The WVU Center for Excellence in Disabilities (CED) has been funded by the Administration for Community Living (ACL) to serve as a mentoring state to maintain and expand West Virginia’s infrastructure, mentor other state grantees, and work with ACL to improve the national impact of the Traumatic Brain Injury (TBI) program. The CED will build upon its strong foundation of TBI services and networks to connect the medical home with community resources and train a new generation of providers. The grant’s primary goal will be to increase West Virginia’s capacity to provide services to people with TBI with regard to their long-term health, community integration and independent living. Simulation exercises and lesson plans for health professions and victim advocatess will be developed to train on best practices for individuals with TBI and providers. 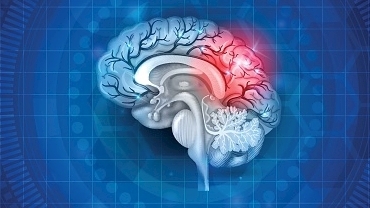 “We intend to improve services delivery systems and supports to people with TBI by increasing the number of people served by behavior specialists, assistive technology consultants, employment specialists and patient navigators,” said Teresa McCourt, the grant’s principal investigator and CED’s assistant director. ACL is funding two tiers of grantees, Partner State Grants and Mentor State Grants. “We are really proud to be selected as a mentor state. It shows that the many years of working on TBI initiatives in our state are recognized on a national level and we look forward to sharing what we’ve learned with other states,” added McCourt. The grant will also focus on the expansion of the statewide TBI registry, to include concussion surveillance and implementation protocols. The WVU CED received $900,000 to implement these services within a three-year period. For more information about the CED’s current TBI services, visit tbi.cedwvu.org.